The Kingman (base) bed frame features a beautiful set of space-saving storage drawers and a clean, yet rustic appearance. The piece is handcrafted entirely out of sustainably sourced alder and birch plywood. 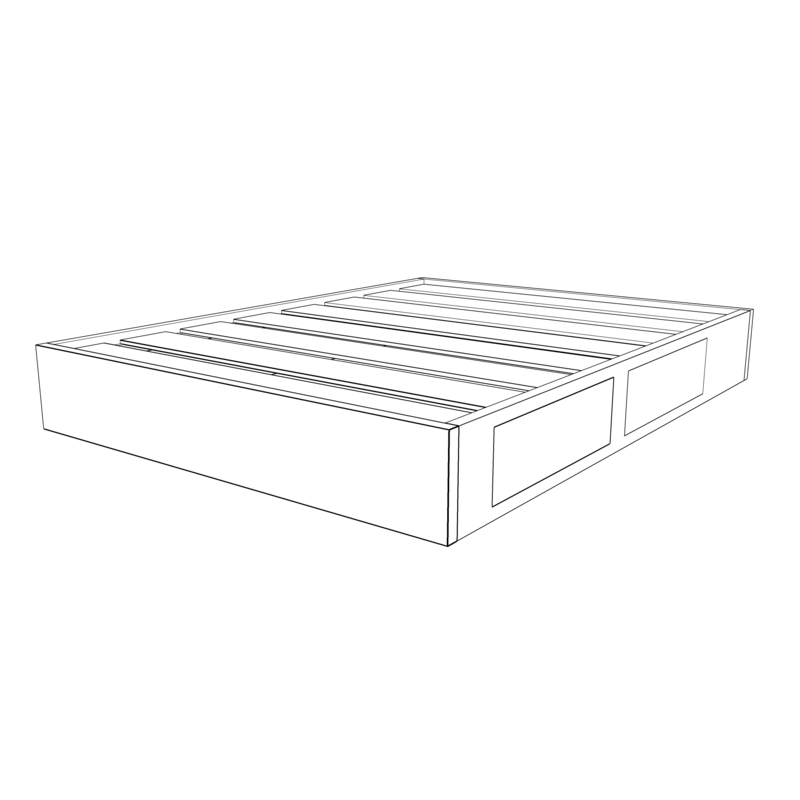 The bed frame is constructed entirely of sustainably sourced Alder hardwood from the Pacific Northwest and Baltic Birch plywood. Each drawer features dovetail construction and smooth ball-bearing slides for an effortless pull.